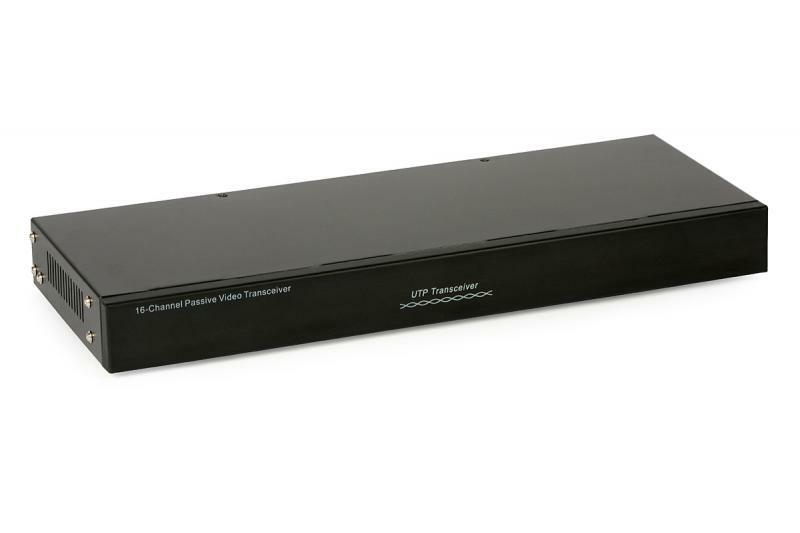 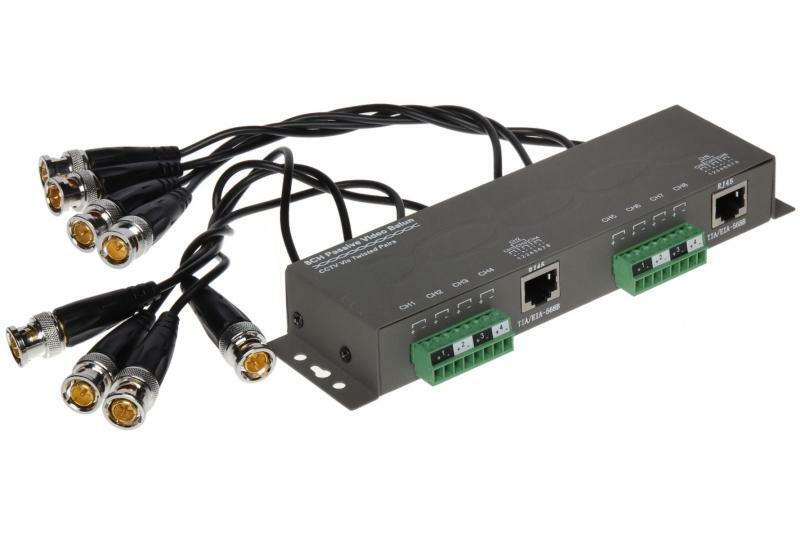 8-channel transmitter or receiver permits the user to transmit video signals from 8 cameras via two 8-wire UTP cables. 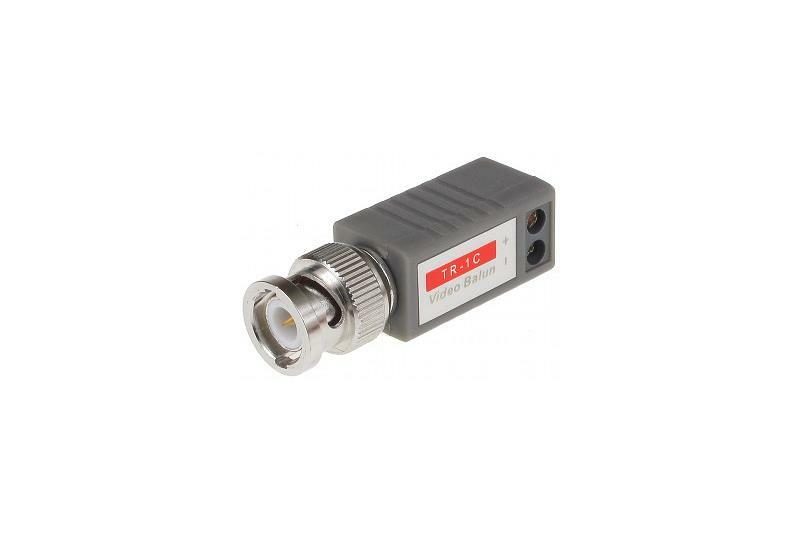 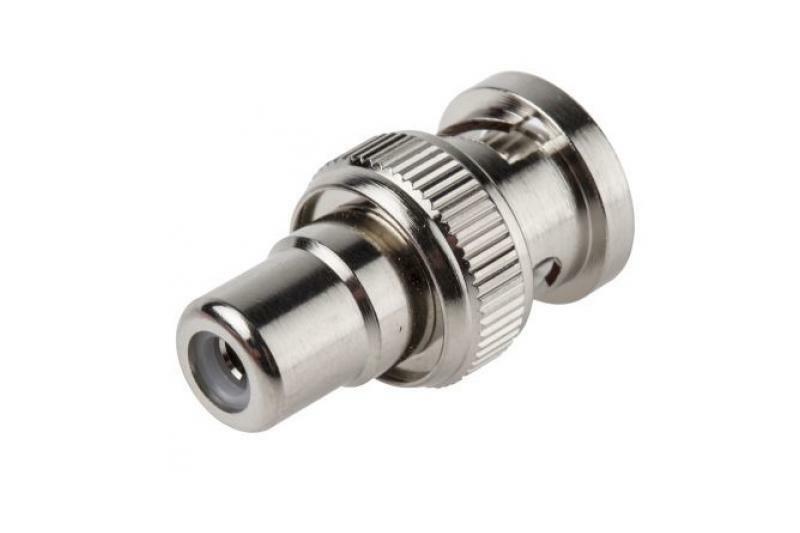 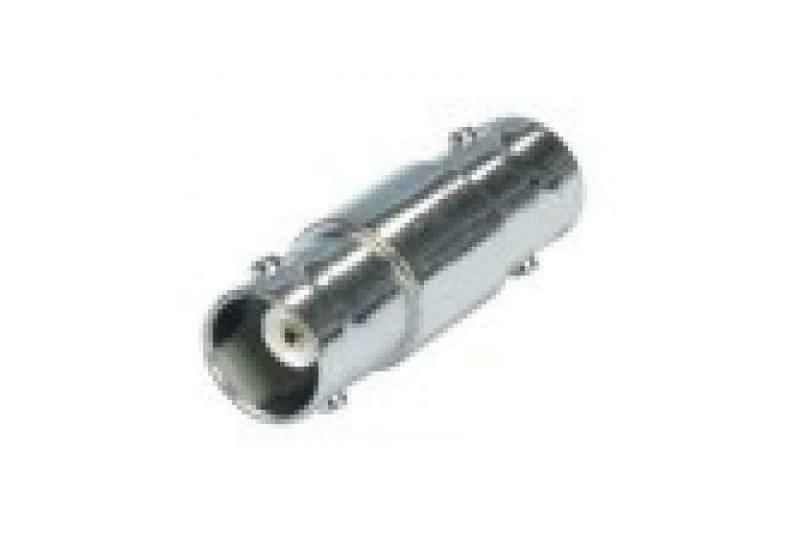 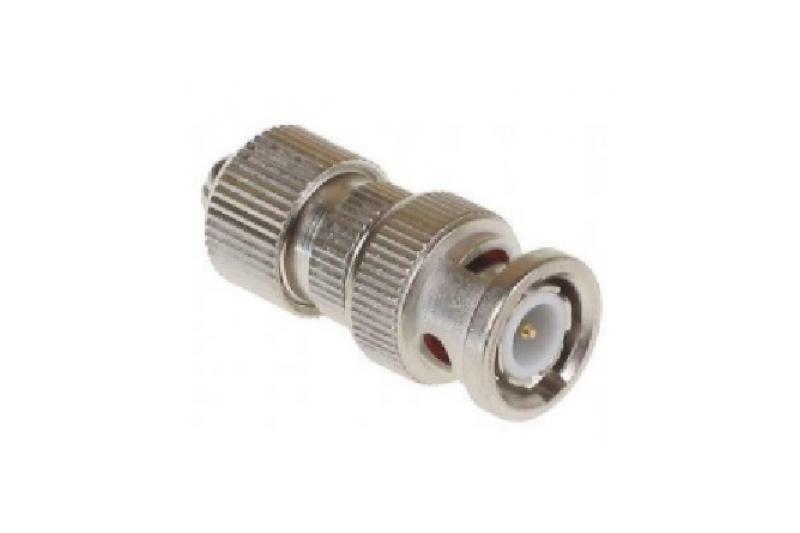 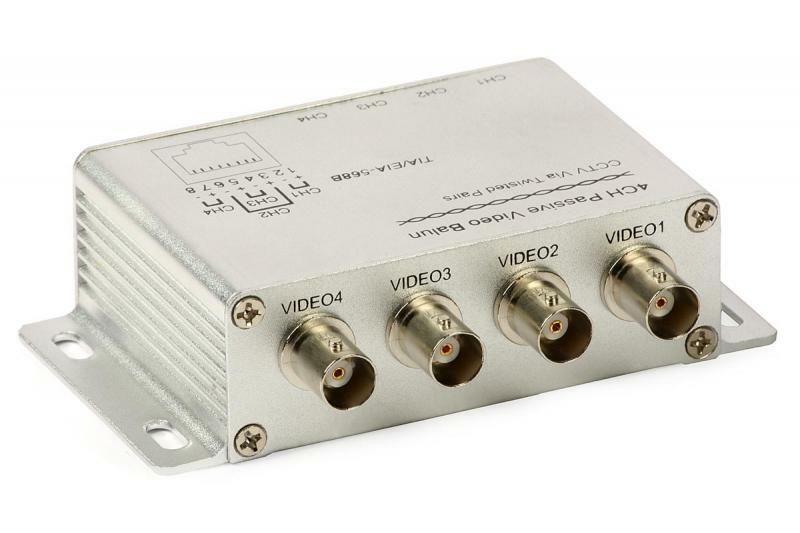 When used as the transmitter in pair with an active receiver, it can send the video signals over distances up to 1500 m, preserving their original quality. 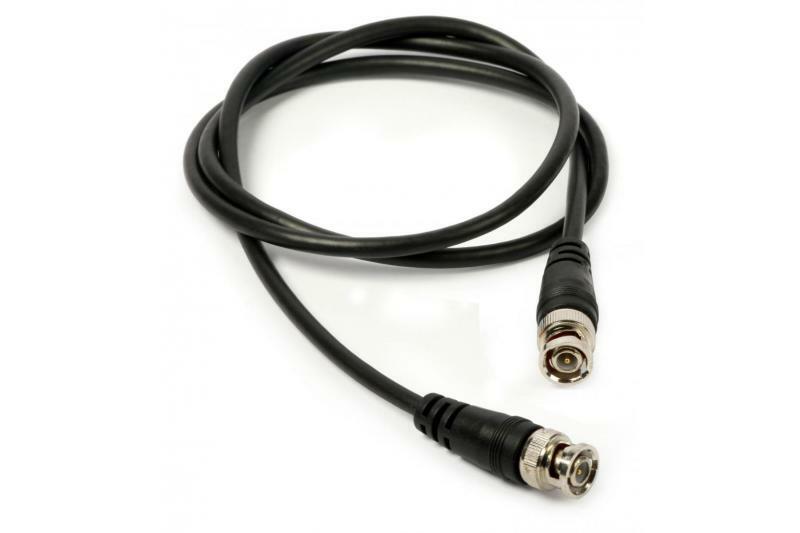 The device matches the 75 ohm impedance of the unbalanced sources to the impedance of the balanced lines formed by the pairs of the UTP cable. 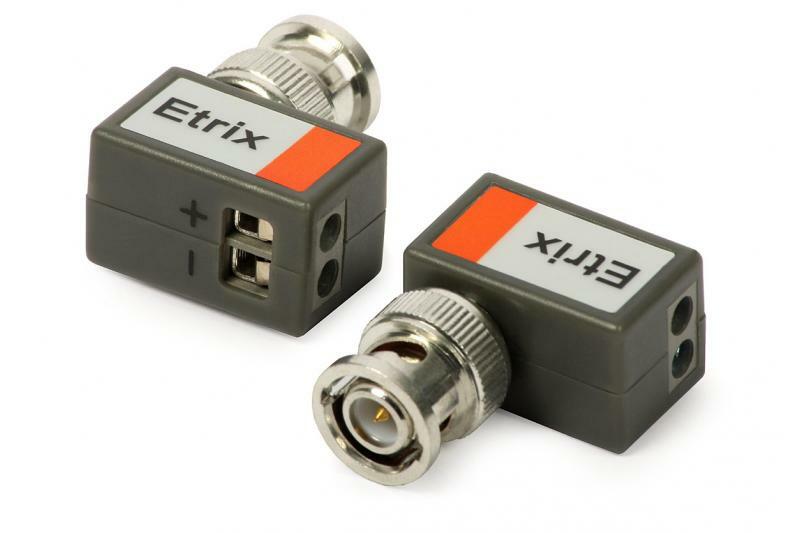 Used in video surveillance systems, such devices allow efficient design of transmission lines without hard wiring. 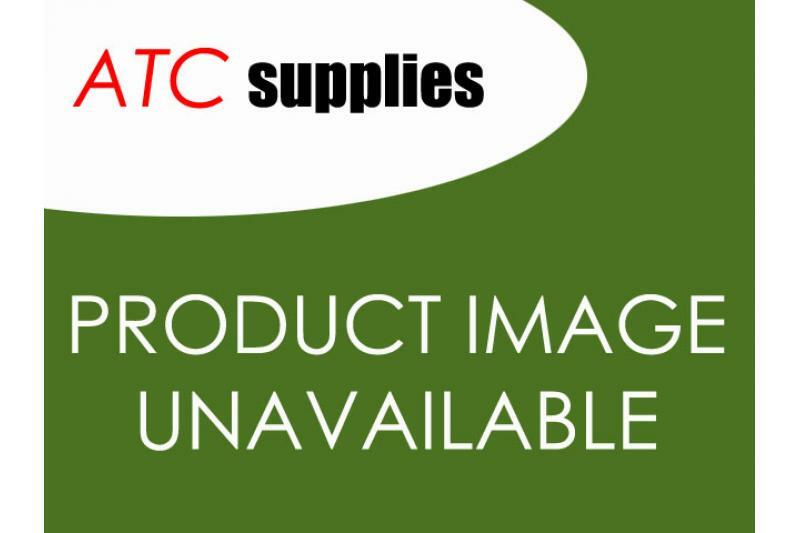 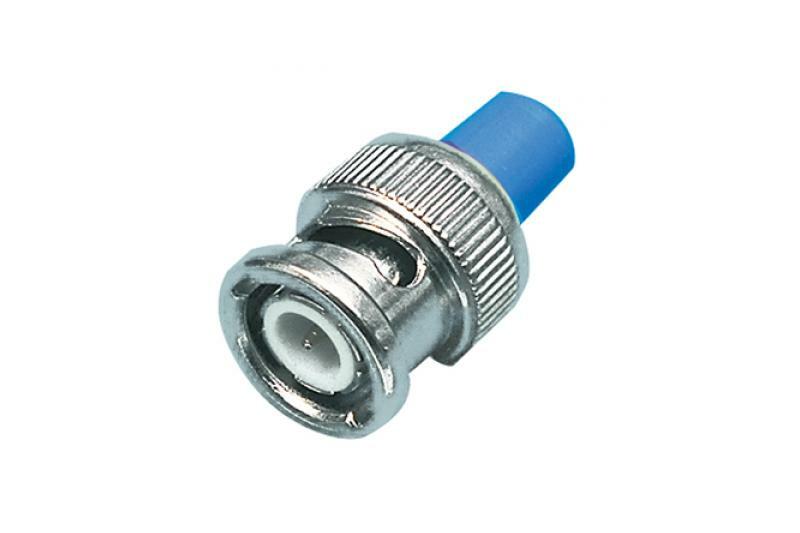 A UTP cable rated CAT5 or higher is required. 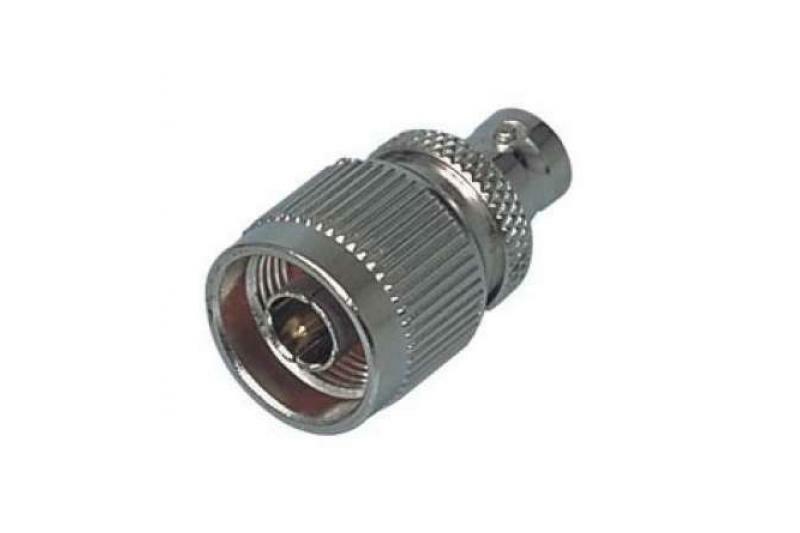 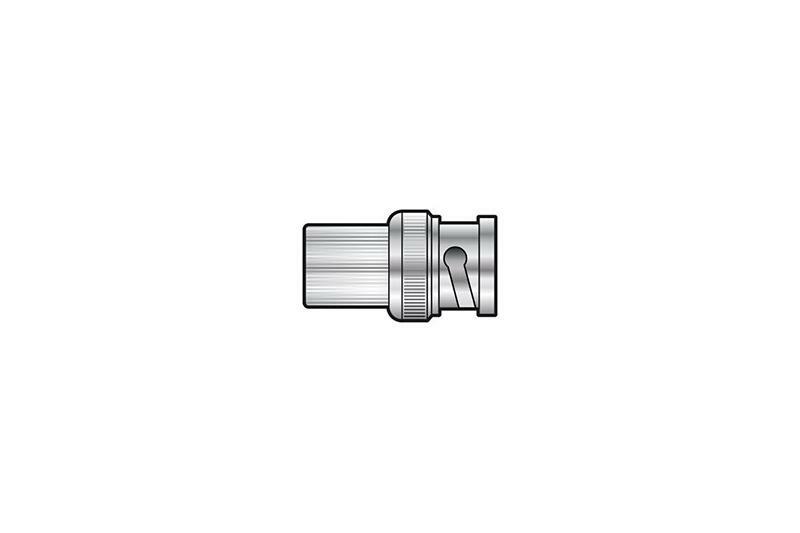 The quality of the cable used has a direct impact on the image quality and transmission range. 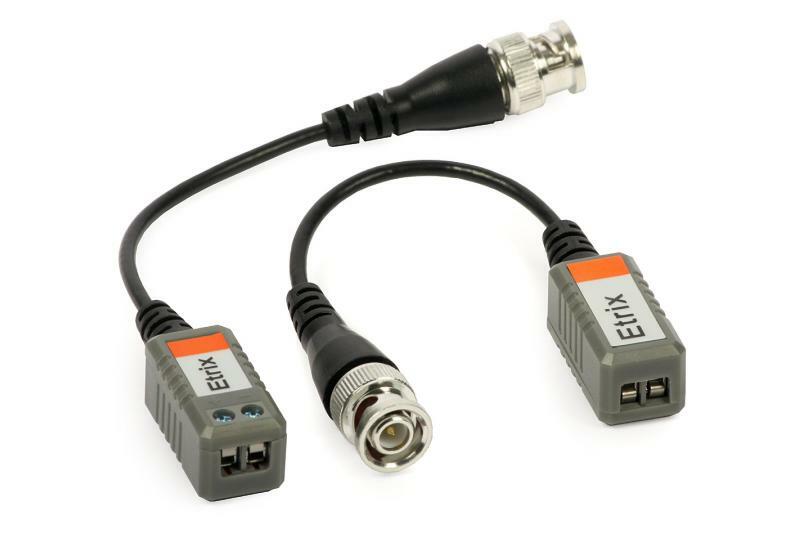 The wires should be connected (using a crimping tool,) in accordance with the scheme TIA/EIA-586B for RJ-45 connectors. 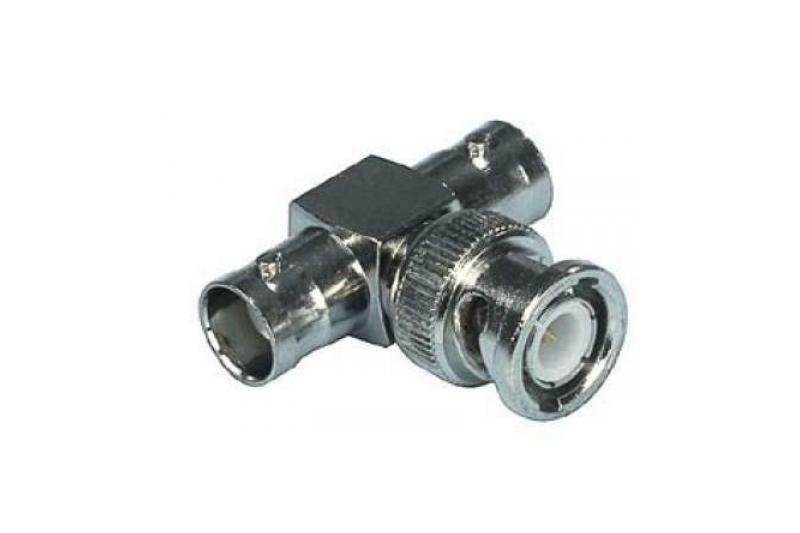 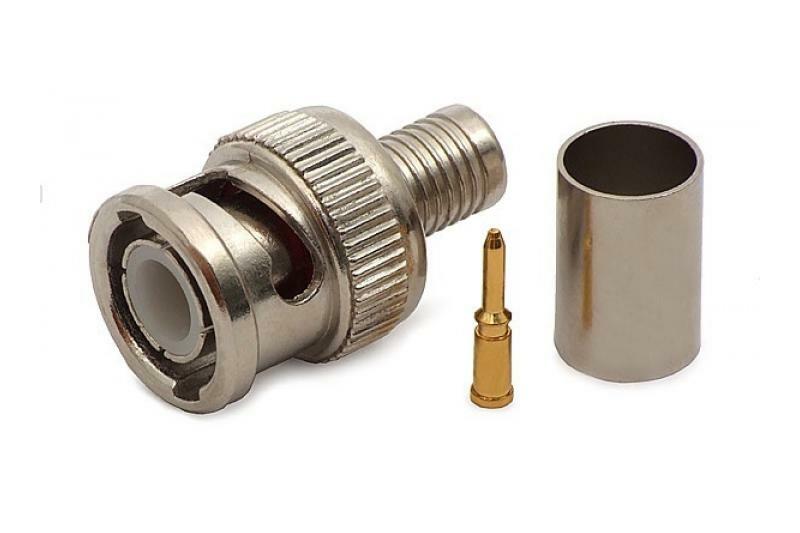 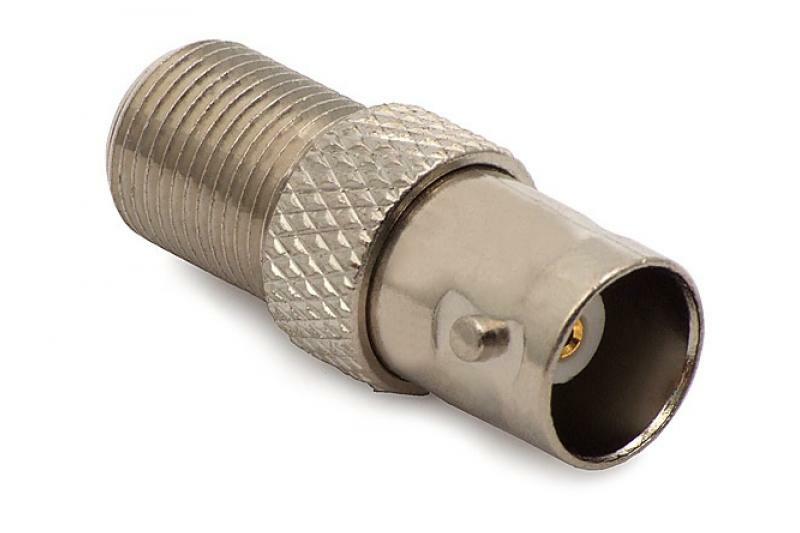 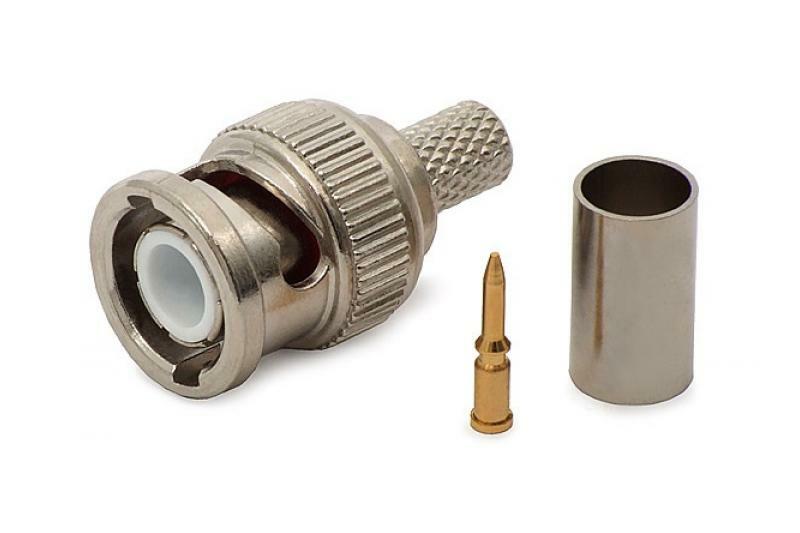 Coaxial cables terminated with BNC plugs are to be connected to the BNC sockets.